The American Revolution took place during the last half of the 18th century, ending in 1783 when the 13 colonies gained independence from the British Empire to become the United States of America. 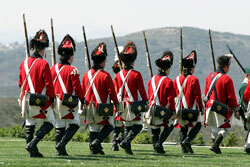 The era began in 1763, when, as a result of the Seven Years' War in Europe, the British Treasury had to be replenished. The Treasury initially tried to raise funds at home and, when that caused an uprising, imposed a series of taxes on the American colonies for items such as molasses and sugar. In addition, Britain imposed the Currency Act, which prevented the colonies from using their own currency, and began enforcing the Acts of Trade and Navigation, which essentially prevented the colonists from trading with other countries. 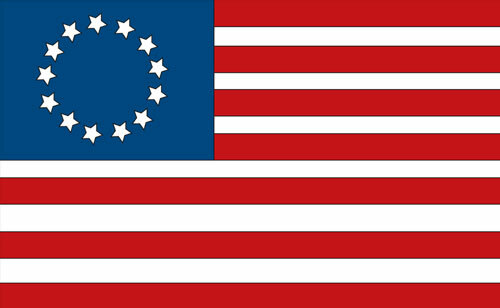 Further acts were designed to prevent the manufacture of certain items in the thirteen colonies. British troops were stationed in New England, and by decree, the colonists were ordered to provide them with food and housing. It was at a New England town meeting that the famous phrase "No taxation without representation" was coined, as those in the colonies believed that Acts and taxes being levied were a result of not having representatives in Parliament. New Englanders initially protested by boycotting English goods, to no avail. But it was the Stamp Act in 1765 that really spurred the 13 colonies into action. The Stamp Act levied even more taxes — on things like newspapers, land deeds, card games, and even diplomas. 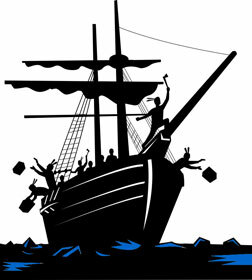 As a result of the Stamp Act, colonial leaders such as Samuel Adams, John Hancock, and Paul Revere organized the Sons of Liberty, a group whose basic goal was to resist British economic control. By 1767, the Townshend Act placed further taxes on tea, paper, and glass; and the colonists organized a boycott of British goods. On March 5, 1770, a group of colonists were protesting outside the Customs House when British troops were called in to disperse them. In the scene that followed, the soldiers fired shots into the crowd, making Crispus Attucks, the leader of the protesting colonists, the first man to die for American Liberty. This event became known as the Boston Massacre. John Hancock subsequently led a group asking for the removal of British troops from Boston, and the British agreed. However, frictions between Britain and the American colonies continued. In June, 1772, American Patriots in Rhode Island burned the HMS Gaspee, a British revenue schooner that had run aground in shallow water while enforcing the unpopular trade regulations. Later, in December, 1773, protesting Patriots dumped a cargo of British tea into Boston harbor, an event that became known as The Boston Tea Party. Beginning in 1772, Patriot groups created Committees of Correspondence, which matured into Provincial Congresses in most of the colonies. Within a few years, these organizations had largely pre-empted British rule in the colonies. 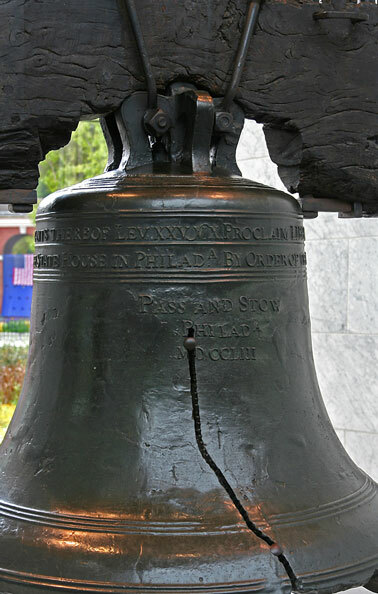 In 1774, these unofficial governing bodies sent representatives to the First Continental Congress, the first unified governing body of the American colonies. Fighting broke out in 1775, when Britain sent an army to the areas of Lexington and Concord, outside of Boston, to arrest revolutionaries and confiscate arms. The "shot heard 'round the world" began the first military action of the American Revolutionary War. 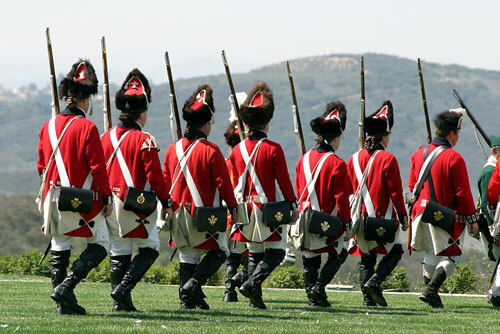 With the British in retreat, the local militia sniped at the redcoats all the way back towards Boston. 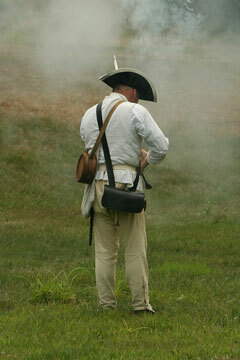 As a result of this action, all 13 colonies sent their own colonial militiamen to Boston. 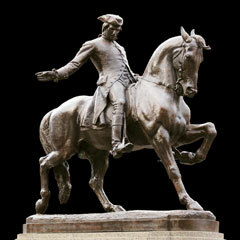 On June 17, 1775, the Battle of Bunker Hill was fought. 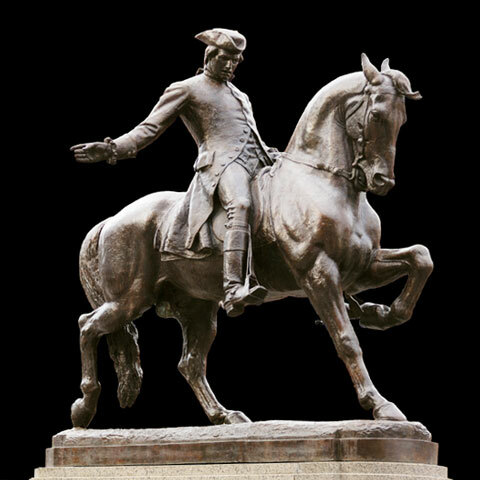 Shortly after this battle, the Second Continental Congress appointed George Washington to take command of the American forces; he and his regiment arrived in Cambridge on July 3, 1775. Around this time, revolutionary leader Ethan Allen led his men, called the Green Mountain Boys, in an attack on Fort Ticonderoga. The British surrendered without firing a shot, and the troops removed the artillery from the fort and brought it to Boston. They mounted these cannon on Dorchester Heights, which overlooked the city. Seeing this, British General William Howe left for Nova Scotia in March, 1776, temporarily removing the British troops and leaving the Patriots in control of all 13 colonies. Meanwhile, the Second Continental Congress requested that Benjamin Franklin, Thomas Jefferson, John Adams, Roger Sherman, and Robert Livingston draft an appeal to the British king, requesting that he listen to colonial grievances and negotiate tax and trade regulations. In July, 1775, the Olive Branch Petition was completed and sent to King George III. The king rejected this petition, passed the Prohibitory Act, outlawing trade with the colonies, and sent German Hessian mercenary troops to combat the Patriots. This response gave Adams and his independence-minded associates the justification to press for independence rather than submit to British rule. In 1776, the 13 colonies voted to adopt the Declaration of Independence, allowing them to establish the United States of America. The United States entered into an alliance with France in 1778, to increase their military and naval strength during their continued battles with the British. Their alliance with France meant that they also brought Spain and the Dutch Republic into the conflict. Peace was eventually established in 1783 with the Treaty of Paris, following the capture of two main British armies by the Continental Army, one in Saratoga in 1777, and the other in Yorktown in 1781. Brinkley, Alan. (2004). The Unfinished Nation: A Concise History of the American People . New York: McGraw-Hill. McConville, Brendan (2001). Revolutionary War. In Paul S. Boyer (Ed. ), The Oxford Companion to United States History . New York: Oxford University Press. McGeehan, John R. (2007). The Everything American History Book . Avon, Massachusetts: Adams Media.